Social selling solutions can deliver big results: increased sales, improved productivity, better engagement with buyers, and clear insights into what is – and isn't – working. What are the best practices for using Sales Navigator? Which features should my sales team use? 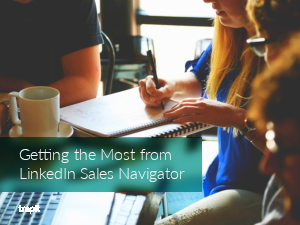 What are some of the shortcomings of Sales Navigator? How do I overcome those shortcomings and create a comprehensive social selling strategy?